If you camp in cooler weather, there is one main way to get warm with your clothing and that is ……..layers! Layering your clothing helps trap the warm air close to your skin. So rather than wear just one big jumper, think about 3 pieces of clothing - something close to your skin, insulation and a shell. My choice for the item of clothing closest to the skin, is a thermal top. As I complain about being cold a lot – whether its camping or at home, a thermal is a must have for my winter days! Wilderness Wear have kindly given me one of their thermal tops to try out, and see what I thought of their range (of which there is a wide range of styles, colours and for both men and women). The Wilderness Wear Thermal Top is made of 100% Merino Wool, sourced from here in Australia. Not many synthetics can claim all those features. The thermal I received from Wilderness Wear is a snug fit (very important feature when purchasing your thermal – you want it to fit well to keep that warmth against your skin) and a very soft and lightweight thermal top (195gsm). 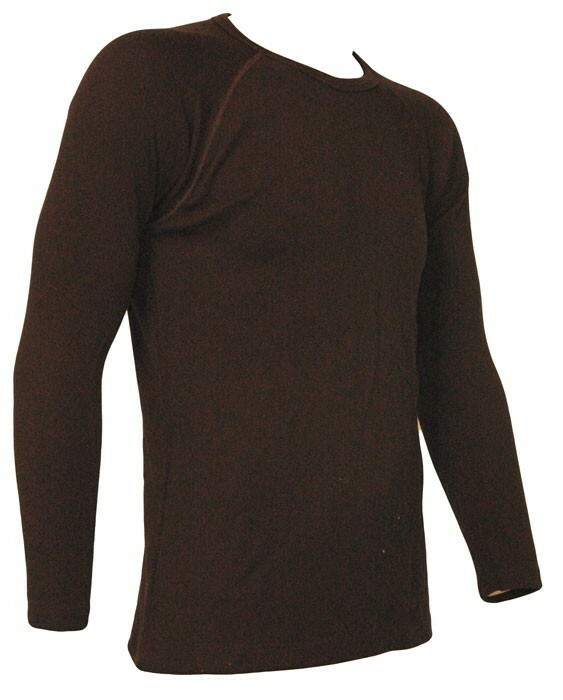 Yes, you will pay more for a merino thermal but for comfort and durability and practicality, it is worth it. The beauty of this thermal is, on the off chance I do get to hot in it, wool is a natural insulator, so I stay comfortable in it for longer. Not only do I wear it around the campsite, but it goes fine with a pair of jeans too! You wouldn’t know it’s a thermal top. If you are looking to stay warm this winter, then this is a thermal we recommend. Go Camping Australia like the ethics and culture behind the company Wilderness Wear (apart from the fact that they have some great outdoor clothing items). So much so, we have teamed up with them as an affiliate. If you are looking for some quality outdoor wear, Australian owned and made, then please click on the link above (or below) and see their product range! This thermal top was gifted to Go Camping Australia for the purpose of this review. Please note we are an affiliate to this company.